Book is out, and some other things. I don’t think I’ve taken two weeks off from this website since it started in 1999. A short explanation is in order. I received a box with five copies of my book in the mail on May 18th. The next day I received the news that my father had died. I’ve mentioned this elsewhere and I’m sorry if I should have told you personally and didn’t and you learned about it here. So, what might have been a PR onslaught of epic proportions–I am very proud of this book and excited to see it done and almost perfect–turned into a completely different sort of set of weeks. I’ll write more about my father on my own blog and you’re welcome to read this thread on MetaFilter which has links to a lot of things to read about him including obits in the Wall Street Journal and the New York Times. We’ve also set up a memory page on 1000 Memories [free forever, I give these folks the thumbs up]. My father’s death was sudden but not totally unexpected. I had a good relationship with him which was hard-won because he was a difficult and somewhat complex man. I am doing okay, all things considered. I am well taken care of. I am his executor and there is a lot of work to do. Yesterday I started thinking about the book again. I made a facebook page for it but it also has its own page which includes the full bibliography, web links and appendix. The local newspaper wrote a little article about it and I think I can get the local bookstore to stock it. 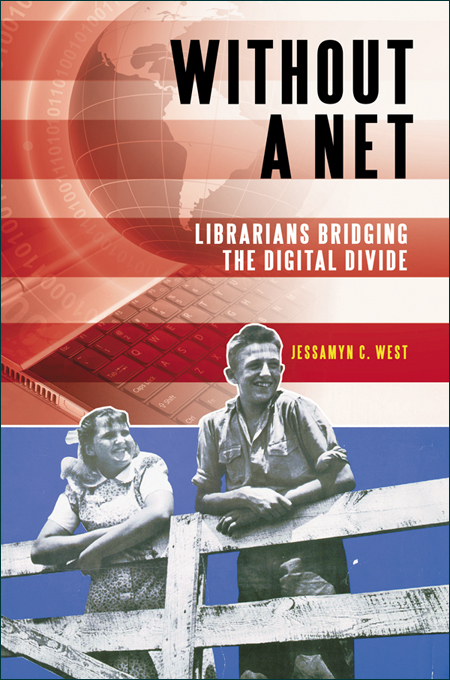 I’ll be heading to the Oregon Virtual Reference Summit in a few days to talk about Ask MetaFilter and the digital divide. I have a small pile of stuff I’ve been meaning to put here, but wanted to let people know what was up first. Let me know if you liked the book. Thanks for being here. Please accept my condolences for your loss, Jessamyn. Your dad sounds like he was a good man and a great teacher — excellent qualities in a father. Congrats on the new book. I look forward to reading it. Congratulations, Jessamyn. A book is a significant accomplishment, one of many for you. I hope it sells well. Sorry about your dad. I enjoy reading the interesting stories about him. Losing a parent, even when it’s not unexpected, is a difficult experience. Fortunately, it sounds like you are surrounded by good people who are supporting you and I add my condolences to those that others have expressed. Jessamyn I’m so sorry. My condolences on your dad. At the other end of the spectrum, congrats on the book. Jessamyn, I’m glad you’ve taken some time to regroup, and that you have the support of friends & family. I hope we can talk in another couple weeks about the index and brainstorm ideas on transforming it from text to HTML. (Ha ha, who am I kidding?! This will likely be done the old-fashioned way: slowly, by hand.) Anyway, sending you love units and strength to your sword arm.